Officer Hear ye all ye people having business with the court, ye shall be heard. Make way for his honor the Judge. Make way for the District Attorney. To officer: Don't let anyone in. The Judge has something important he wants to talk to me about. To Judge: Little draw poker, eh? All right. All the time you want to play with your cards. Play with my cards, I like to win sometimes too, you know.Go on put them both together. Deal some from the top. Why don't you play like I play. I don't cheat much. You think you're smart, eh? We cut for the deal. The low cards deals. What you got? Two? You lose. You got the right cards? How many cards you want? None? You got to take some, it's draw poker. Four? You got openers? I look. You look too, eh? I take one. It's no good, I take another. Bet you a buck. You raise me? I raise you. You raise me again? I call it. What you got? Aces? You got aces? On my deal you got aces? How many aces you got? 1 aces? That's good, I thought you were bluffing. Let's see the aces. What's the matter you call that aces? That's 8's. Tell me got aces when you got 8's. What's the matter you cheat like that? I throw away a four flush. Cut the cards. What's the matter you spoil cards like that. Officer Court's in order. Make way for the learned District Attorney. Groucho How do you do your honor. I am here to convict a beautiful woman of murder in the first degree, homicide in the second degree, and suicide in the third degree. Let me know when I get to seventy degrees. Are you with me? Here's a dollar on account. I would explain this case but what's the use. He wouldn't understand it, you wouldn't understand it, and I wouldn't understand it. I am certainly glad to before a Judge whose hand has never been tainted by the lure of gold. A man who is not only unbiased and unemotional but is practically unconscious. Judge, you have no idea how you look. Prisoner to the bar. Officer Bring in the jury. Enter Beauty right and a dummy jury is pushed on from left. Groucho I thought the Phillies were on the road. Officer Hats off, Hats off! Harpo shoots hat off dummy. Then throw rings. The boy wins a gold cigar. Gives Harpo a cigar. Look out my boy. This is my turn to thrill her. Step aside. You're laughing, aren't you? Groucho Don't forget he who laughs last like dirty stories. I am going to send you to Harrisburg for twenty years. Groucho Capital punishment. What's your name? Groucho Have you ever sold prescriptions for the Saturday Evening Post? Groucho Well, where did you get all those swell looking clothes, then. What's your age? Chico I object. That's not fair. Groucho Have you any other business? 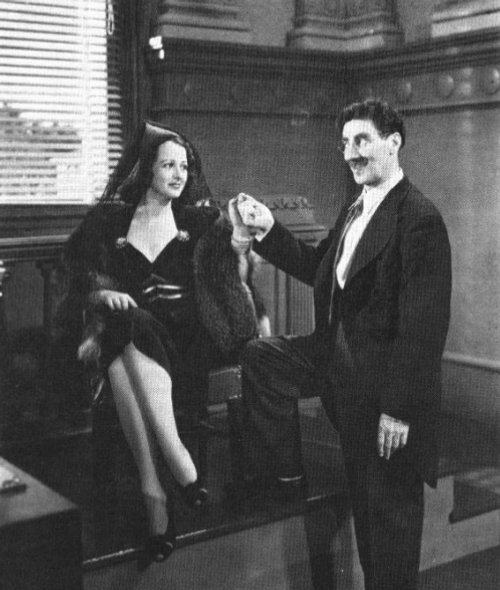 [MK: Groucho Young lady...you are charged with murder, and if you are convicted you will be charged with electricity...Why were you smoking opium in a Chinese joint? Beauty Because I wanted to get a new sensation. Groucho Did you ever eat a bowl of rhubarb in a ferris wheel?....Were you ever in love? Groucho Who were you out with last night? Groucho What time did you come home? Groucho So you went out with the thief and came home with the milkman? Groucho If you came home with the milkman your story won't hold water. Why did you stab a Chinaman with this revolver? Beauty I didn't do it! Groucho Well, I have a letter from the corpse and he says you did and he seems to feel terrible about it. Beauty You accuse me? You accuse me? You came to my home to give me a thrill and what happened? After you called all my silverware was missing. Detective What are you guys doing playing around the court. Detective Never mind whose yard I am. Do you guys know that three palm beach suits were stolen from the Judge's chamber? Groucho Well, I only got one. Beauty Mr. Detective, did you know that all my silverware was stolen? Detective I am very sorry my little lady. Just step outside. I'll attend to these guys. To Chico Where did you get that suit? Detective Well, it doesn't fit you. Chico I know. I had it made to order. Detective To Groucho Does that suit you have belong to you? Detective To Harpo Come down out of there you. Come on, make it snappy. To Chico Well, who is this guy? Detective To Harpo Is that your brother? Business of shaking head - - yes - - no. Detective To Groucho Are these your sons? Detective Are you their father? Detective To Harpo Is that your father?To Chico Is that your father? Chico I'm not sure. It was during the epidemic. Groucho The Shepherd of the Hills. I lost my sheep. Taking knife out of Groucho's pocket. Chico Here, I found one too. Groucho Why don't you search him? Detective I don't have to search him. Groucho You can't. You haven't got a writ of epideta. Detective When I go out after a man I get him. Groucho You would have made a good woman. Detective I know my business, I do. Groucho Go on, why don't you search him. You're smart. You're instinctive. Groucho I don't think I'll say that again. Detective Certainly I know my business. I've been a detective for twenty years. 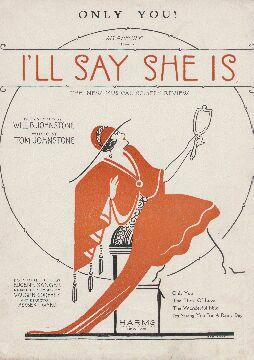 Shows badge. Harpo shows whiskey bottle. Groucho Why don't you justify your justifications which are judiciary? Detective What has that got to do with me. To Harpo. My boy I feel sorry for you. You are in bad company. A big honest round eyed boy like you. I can tell you are honest simply because I can tell an honest man when I see him. You have a face like Washington. Why it's men of your character that are a credit to this country. I want to say I am sorry for you. What would your mother say? The more I look at you the more decent you are. Well, you certainly surprised me! During the speech, Harpo has been dropping knives out of his left sleeve until the sleeve is empty. Groucho Me too, I thought he had more than that. Black out. Close Art Curtains. Lights up! Enter Beauty and Chief left. Chief Wanna, when am I going to see you alone? Beauty Engagements eight weeks in advance. Beauty And are you going to try? Chief I am not a fortune hunter. You alone are the treasure I want. Scene 10 - song "Rainy Day"
Enter four girls who sing Rainy Day Chorus. At the end of chorus all exit left. The sheet covers of The Thrill Of Love and Only You offers a longer title of the final song, I'm Saving You For A Rainy Day. 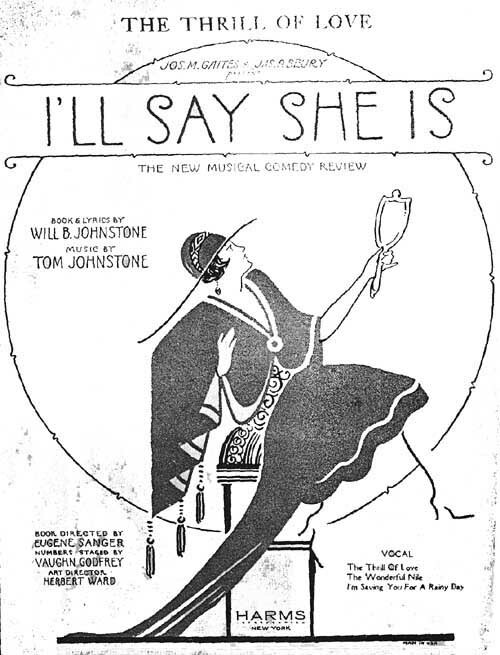 In 1925, when I'll Say She Is had closed on Broadway, the show went back out on the road and by then I'm Saving You For a Rainy Day was cut and replaced with The Only Only One is You, sung by Ruth Urban. A review in Variety, May 28, 1924, mentions that Harpo "sent the house into spasms with his knives and forks bit. The amount of junk hidden up his sleeve is surprising. Harpo is the world's funniest dropper of silverware". 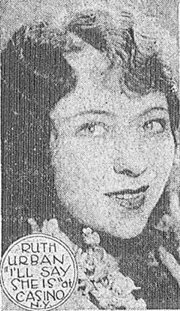 This specialty first appeared in vaudeville-show Home Again and was also included in the film version of Animal Crackers. 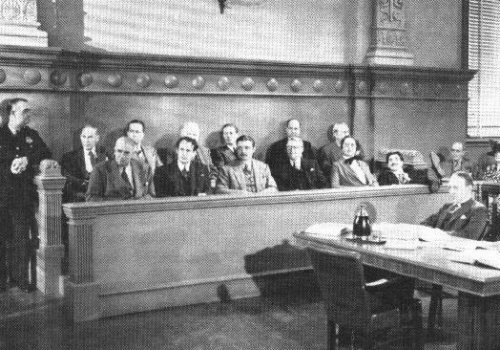 Variety further says that the trial was "borrowed from the old burlesque afterpiece, Irish Justice". 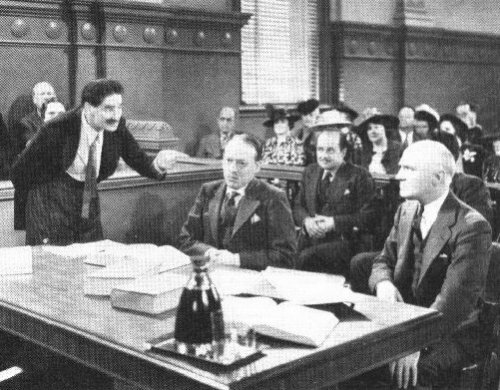 A similar trial also appears in Duck Soup in 1933, and in a cut scene from At the Circus (photos below).